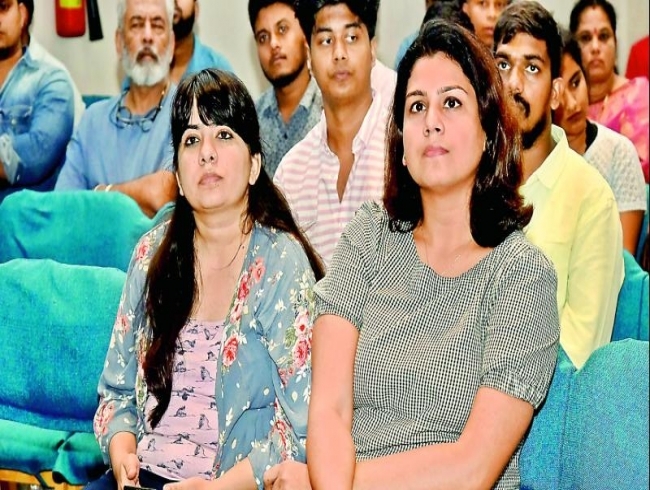 While the highlight of the Indian Photography Festival is the display of stunning clicks from around the world, also popular are the various talks that take place on the sidelines of the event. One such talk, helmed by award-winning photographers Mark Edward Harris and Sandro Miller, was held at State Art Gallery on Friday in a jam-packed auditorium. While Mark is a travel and documentary photographer, Sandro is known for his expressive photographs of people. The two have written many travel books and inspired the audience with their knowledge of their chosen field. Mark’s love affair with photography started in his childhood. “My father used to take pictures of my family and he always documented the family trips. He let me do that as well,” shared Mark, who loved his father’s concept of recording documentaries. His interest turned serious in the photography classroom. “When we were supposed to enter a dark room and make the best of that place with the limited light, I just fell in love with how the shots took shape at that time,” he shares. Sandro, who is known for his expressive images of people, shares a secret of his trade, “I always hug all my muses and show them that I care for them and I love them, that is how I get my best shots.” Sandro has been voted one of the top 200 advertising photographers in the world and has been honoured with the Lucie Foundation’s ‘International Photographer of the Year Award’ for his ‘Malkovich, Malkovich, Malkovich: Homage to Photographic Masters’ images. The talk ended with a Q&A session wherein both the photographers concluded their talk by sharing what photography has taught them.